Latest 2019 Nigerian Praise & Worship Music | Emmanuel Benjamin who is popularly known as Eben is a Nigerian singer, song writer and worship leader from Lagos, Nigeria. Nigeria’s Emmanuel Benjamin, aka Eben, is a popular Gospel vocalist, songwriter, and minister born into a religious family in Lagos, Nigeria. He is the fifth of six children. Eben started as a rapper before delving into gospel music in 1997 where he debuted as winner of Chapel choir before joining Christ Embassy in 2006. 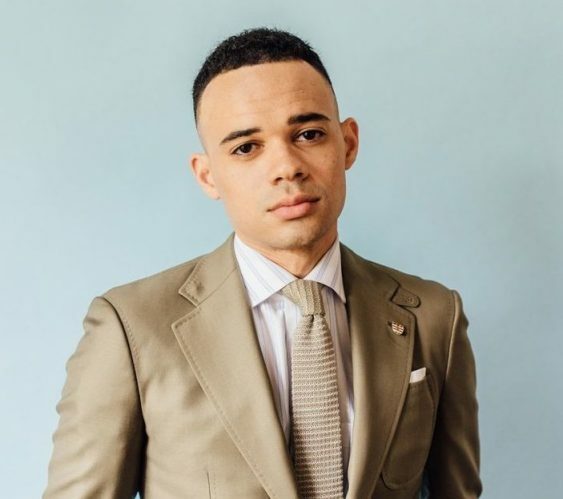 Prior to fame, Eben was a background vocalist with an amazing voice who describe his own music as urban contemporary gospel and christian rock. List of his songs include victory, without borders, Imara Nma, Alpha and Omega and so on. He has performed on both local, national and international arena and has being featured on several projects of gospel musicians such as Sammie Okposo, Onyeka Onwenu and Sunny Nneji. The talented gospel sensation also have three albums which include “On the rock”, “Penomenom” and “Magnified” released in 2017. Eben who is the CEO and owner of the record label, Hammer House of Rock, pioneered what is now called Afrocentric rock. Eben is married to his lovely wife, Jahdiel ( also a gospel singer) in 2013 and their union is blessed with a son named Smashley. Best Gospel video awards at the Nigerian Music awards. Album of the year award at the Crystal awards. Best song writer of the year at the Lima awards. The official music video for Lauren Daigle’s new single “You Say” from her album, Look Up Child, out now! Stream. Former frontman for the American Christian pop rock band Royal Tailor, which produced two albums over a five-year career, garnering two Grammy nominations and a New Artist of the Year award from the Gospel Music Association Dove Awards. 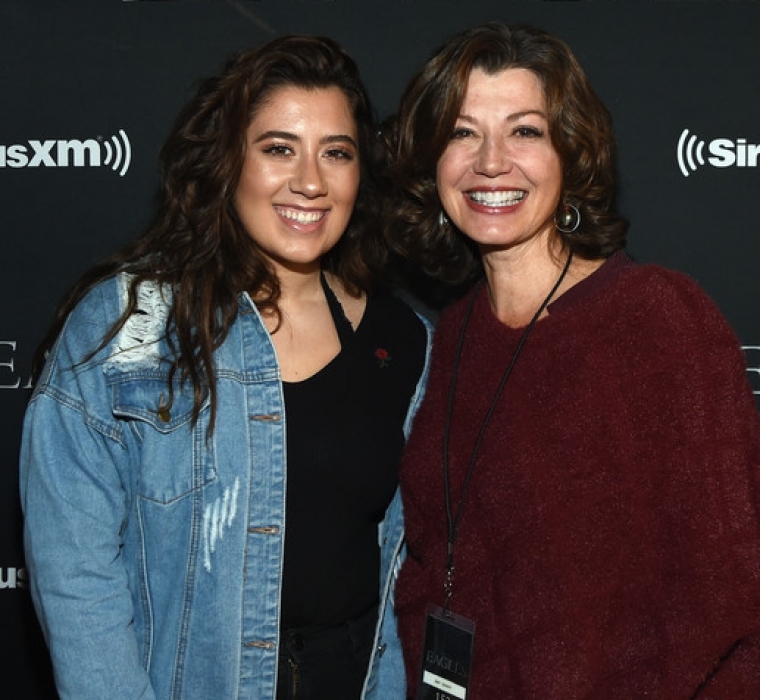 Amy Grant: The Journey Continues…..
Amy Lee Grant is an American singer, songwriter, musician, and author in the Christian music industry who became a crossover pop success in the 1980s and 1990s. 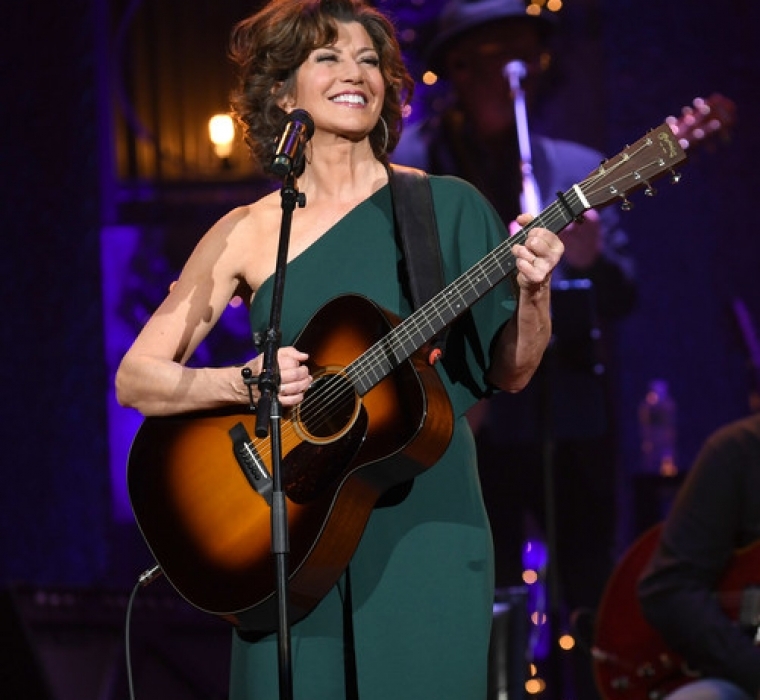 Amy Grant was born on November 25, 1960 in Augusta, Georgia. Her first album was released in 1977 on Christian label, Word Music and Grant left college to pursue her career. Her second album won a Grammy for its blend of gospel and pop. Her crossover was complete with the 1991 album Heart in Motion which reached number one on the Billboard pop chart. 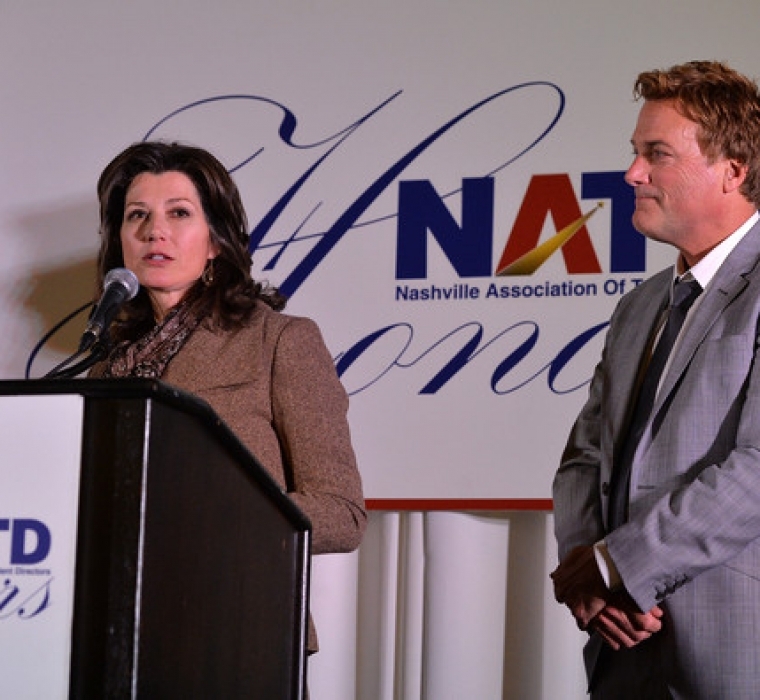 Grant is married to country star Vince Gill. 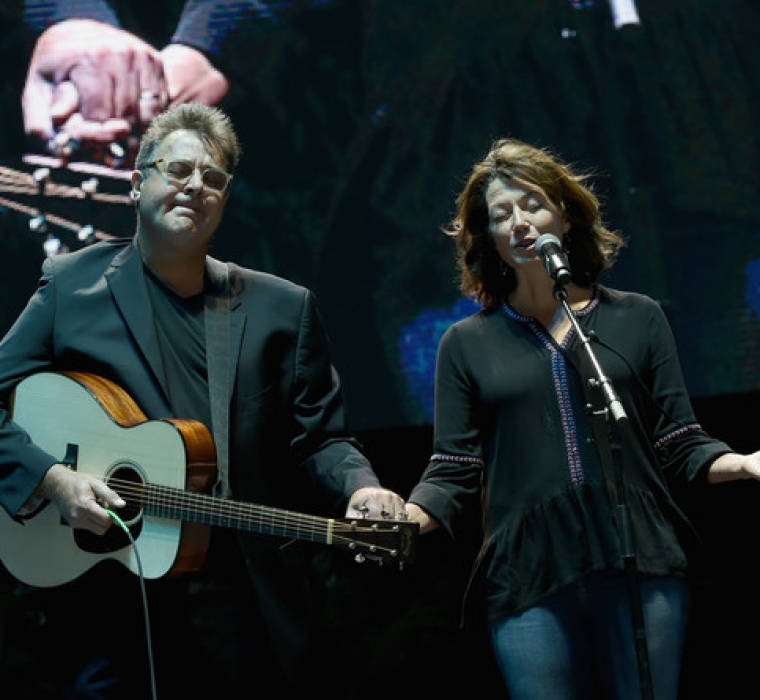 Singer:Songwriter Vince Gill joins Singer:Songwriter Amy Grant in prayer during Nashville Candelight Vigil For Las Vegas at Ascend Amphitheater on October 2, 2017 in Nashville, Tennessee. Grant continued recording and performing throughout high school and college. After a couple of years at Furman University, she transferred but eventually dropped out of Vanderbilt University to pursue her career full-time. Grant met songwriter Gary Chapman while making My Father’s Eyes (1979) and he joined her on tour as her opening act for the album Never Alone (1980). The couple married in 1982. That same year, she released Age to Age, which received numerous critical accolades. It won a Grammy Award for Best Gospel Performance—Grant’s first. 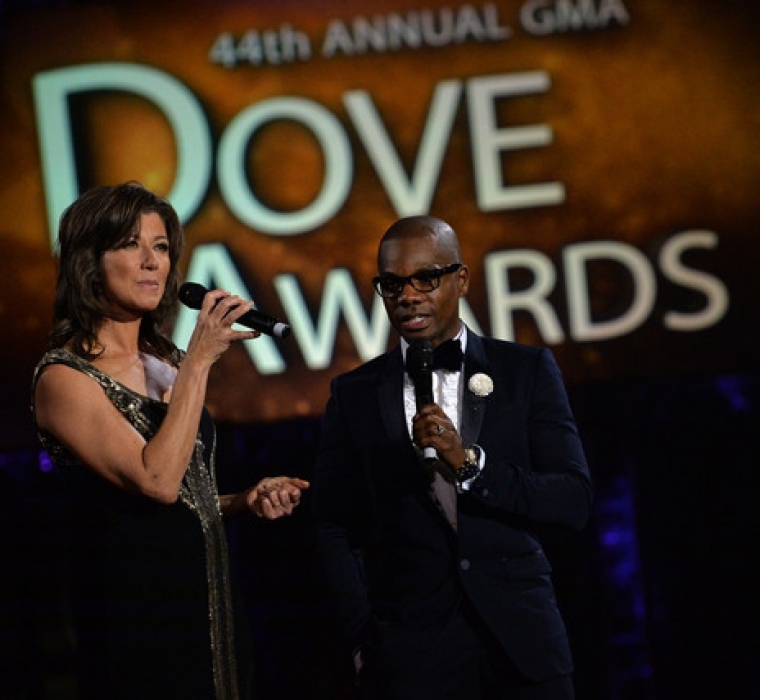 She also earned several Dove Awards from the Gospel Music Association (GMA), including for Performer of the Year. With the 1985 album Unguarded, Grant’s sound began changing. Much of her music had a soft rock element to it, but this release sounded even more like a mainstream pop record. In fact, Grant had her first crossover success on the pop charts with the track “Find a Way.” She even had a music video for the song playing on MTV. But not everyone appreciated her new success. The lyrics on the album had few directly religious references, which upset some in the Christian music community. Grant found more mainstream success with the album Heart in Motion (1991), which featured the song “Baby, Baby.” It reached number one on the Billboard’s pop chart. Grant found inspiration for the song in the birth of her first daughter, but the video for the song portrayed it as a romantic tune. 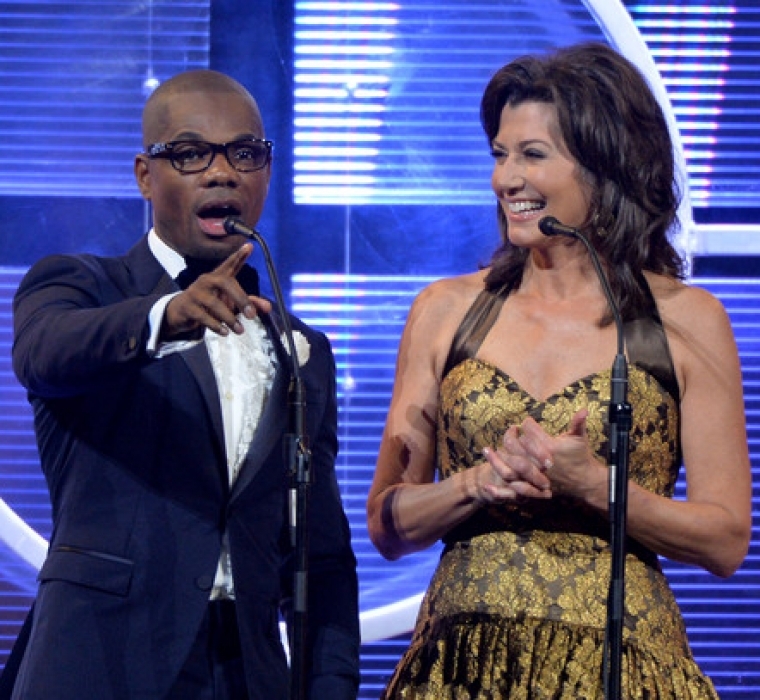 The video and the album created a stir with some of Grant’s gospel fans and critics. They claimed that she was again abandoning her gospel roots for pop stardom.On her next release, House of Love (1994), Grant sang some love songs as well as songs reflecting her devotion to God. The album featured a duet with Vince Gill, a top country music performer, on the title track, which scored on the pop and adult contemporary charts. A cover of the Joni Mitchell song “Big Yellow Taxi” and her composition “Lucky One” also found chart success. On June 19, 1982, Grant married fellow Christian musician Gary Chapman. Their marriage produced three children. In March 1999, she filed for divorce from Chapman, citing “irreconcilable differences”, and the divorce was finalized three months later. 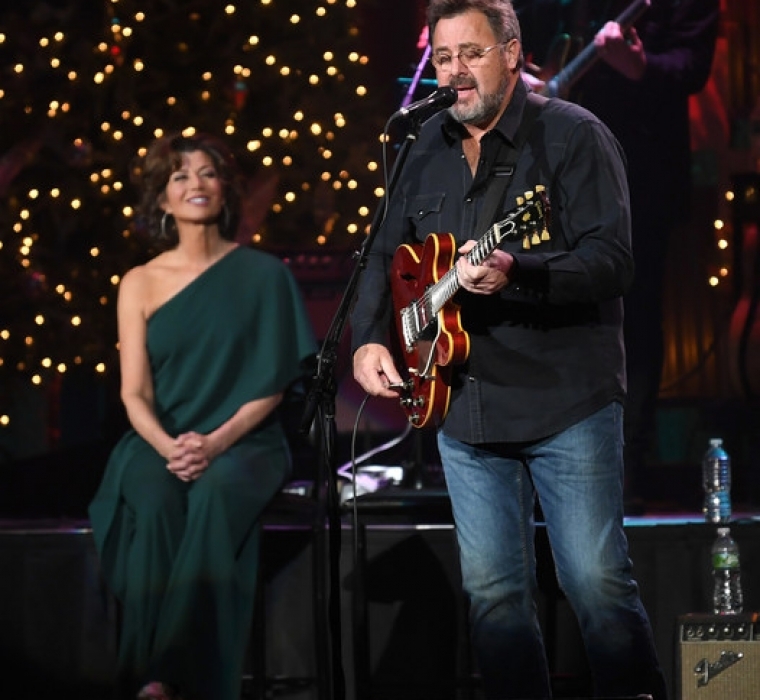 On March 10, 2000, Grant married country singer-songwriter Vince Gill, who had been previously married to country singer Janis Oliver of Sweethearts of the Rodeo. Grant and Gill have one daughter together, Corrina Grant Gill, born March 12, 2001. I didn’t get a divorce because ‘I had a great marriage and then along came Vince Gill.’ Gary and I had a rocky road from day one. I think what was so hard—and this is (what) one of our counselors said—sometimes an innocent party can come into a situation, and they’re like a big spotlight. What they do is reveal, by comparison, the painful dynamics that are already in existence. Grant went through a time of personal upheaval in the late 1990s. Her pain was apparent on 1997’s Behind the Eyes. The usually upbeat Grant seemed more maudlin this time around on such tracks as “Cry a River,” “Missing You,” and “The Feeling I Had.” Not long after this album, news of Grant’s impending divorce from her husband of 16 years broke. Grant ended the 1990s by branching out professionally, acting in the 1999 television, A Song from the Heart, in which she played a blind music teacher. She also made other changes in her life around this time. 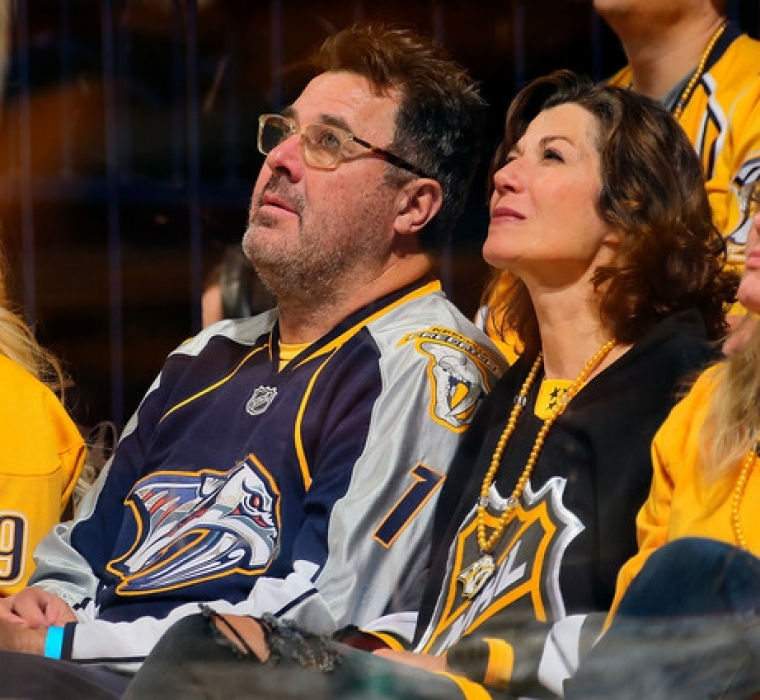 She married Vince Gill in 2000, and a year later, the couple had a daughter together named Corrina Grant Gill. Corrina is Grant’s fourth child; she has three children from her first marriage: Matthew Garrison, Gloria Mills “Millie,” and Sarah Cannon. Since marrying, Grant and Gill have continued to work together on a number of projects. Gill acted as a producer on her 2002 Legacy . . . Hymns & Faith album and the couple sang a duet entitled “Beautiful” on 2003’s Simple Things. 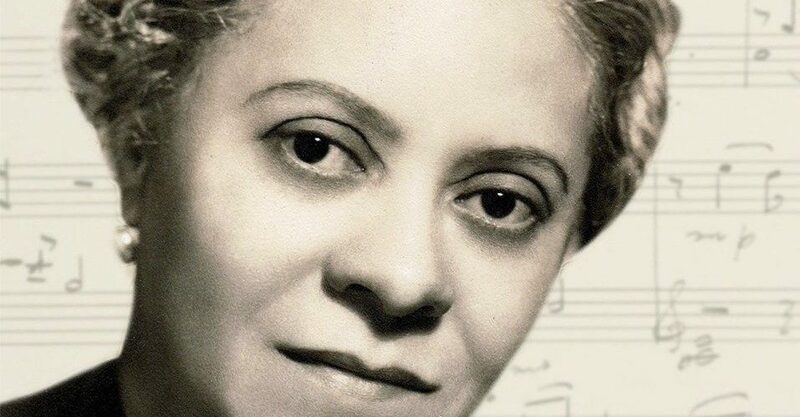 During her long career, Grant has won numerous awards, including 6 Grammy Awards and more than 20 Dove Awards. 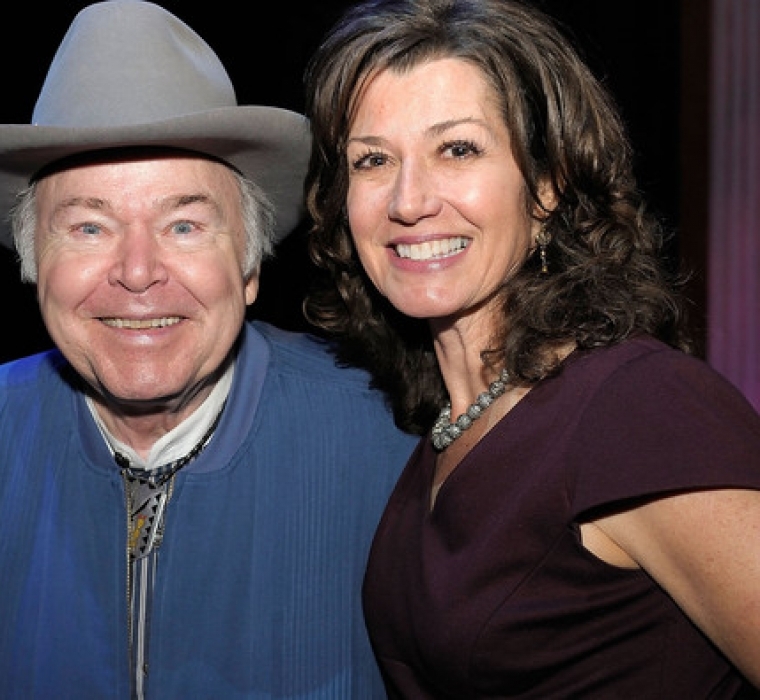 Her most recent Grammy win was for Best Southern, Country, or Bluegrass Gospel Album for Rock of Ages . . . Hymns & Faith (2005). This same recording won the Dove Award for Inspirational Album of the Year in 2006. 2007 was Grant’s 30th year in music. She left Word/Warner, and contracted with EMI CMG who re-released her regular studio albums as remastered versions on August 14, 2007. Marking the start of Grant’s new contract is a career-spanning greatest hits album, with all the songs digitally remastered. The album was released as both a single-disc CD edition, and a two-disc CD/DVD Special Edition, the DVD featuring music videos and interviews. On June 27, 2008, at Creation Festival Northeast she performed “Lead Me On” and a few other songs backed by Hawk Nelson. At the end of the concert, Grant returned to the stage and sang “Thy Word”. She appeared on the 2008 album Anne Murray Duets: Friends & Legends singing “Could I Have This Dance”. Brounstein, Laura (November 2006). “In Perfect Harmony: Vince Gill & Amy Grant”. Ladies’ Home Journal. Archived from the original on July 29, 2013. 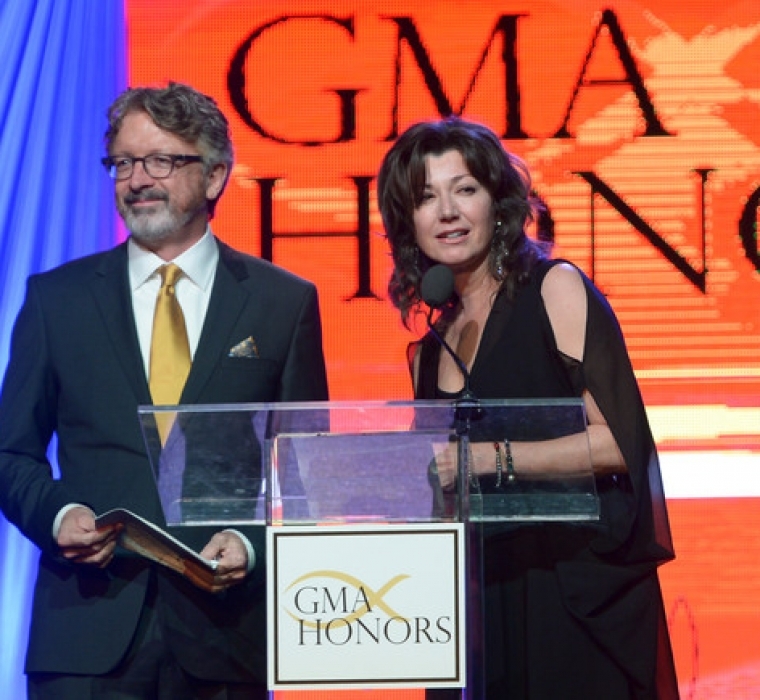 Jump up to: “Amy Grant Receives a Star on The Hollywood Walk of Fame”. Getty Images. September 19, 2006. Michael Goldberg (June 6, 1985). “Amy Grant wants to put God on the charts”(PDF). Rolling Stone. Archived from the original(PDF) on November 20, 2008. Stephen Thomas Erlewine. “Rock of Ages…Hymns & Faith – Amy Grant – Songs, Reviews, Credits, Awards – AllMusic”. AllMusic. “30 Songs / 30 Days for Half the Sky”. Half the Sky Movement. August 30, 2012. Archived from the original on October 14, 2012. “Amy Grant”. February 12, 2016. “Amy Grant Chart History”. November 29,2017. 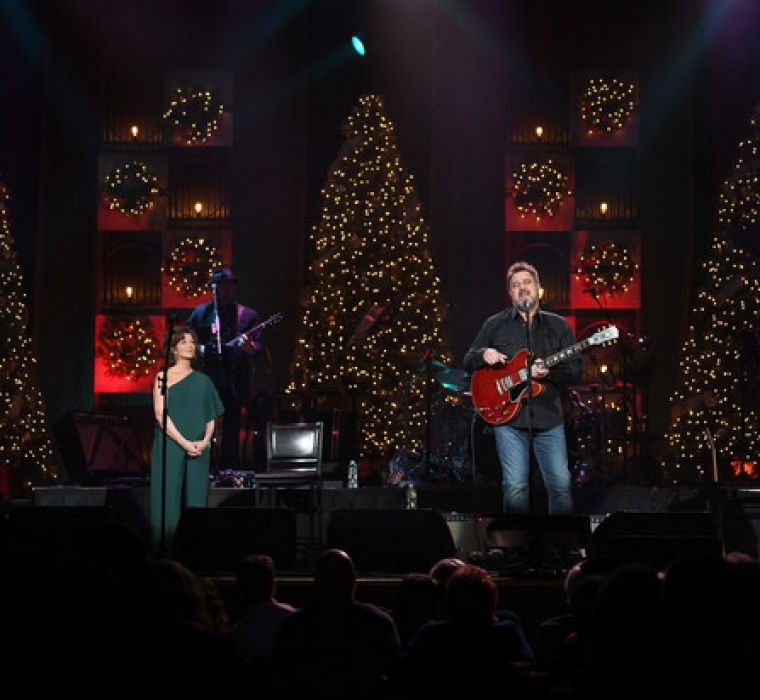 “Amy Grant, Michael W. Smith Announce 2017 Christmas Tour Featuring Jordan Smith, Winner Of ‘The Voice,’ Full Symphony Orchestra”. August 8, 2017. “Past Winners Search”. grammy.com. The Recording Academy. Retrieved April 19, 2017. ‘The Masked Singer’: Who Was the Third Celebrity Eliminated? The Masked Singer continued on Fox on Wednesday night, with five of the remaining 10 undercover singers returning to the stage to sing once more in front of a studio audience and celebrity panelists Jenny McCarthy, Ken Jeong, Nicole Scherzinger and Robin Thicke. This week, the celebrity panelists were joined by special guest Joel McHale. Nick Cannon returned as host. The lion, deer, peacock, unicorn and monster all gave performances and dropped additional clues about who they might be. The lion, who was suspected last week of being in a girl group, went first. New clues hinted that she’s involved in political activism, with footage of protests playing during her new clip package. “Now I feel like I can be a frontrunner,” she said, adding that she likes the anonymity of the mask. “Using my voice to help others has always been very important,” she said. For her performance, the lion sang “Feeling Good” by Nina Simone and, as with her first performance on the show, she proved that she has some singing training. “I just love how you’re always so poised onstage,” Scherzinger said, commending her presence. “Your grace, power, control are unbelievable,” McCarthy added. “You’re way more talented than Ken Jeong,” McHale joked. McCarthy guessed that it was Kelly Rowland again. Scherzinger guessed Hailey Baldwin, McHale guessed Emily Blunt. McCarthy asked the lion if she currently has a platinum album, and she replied, “I have nothing gold or platinum on my walls yet. The deer was up next, and his next clue package referenced the fact that he was in the bottom after his first performance. “Being in the bottom ain’t my style,” he said. “I used to be able to sell salt to a slug,” implying that he has done car commercials before. “I know how to throw,” he also said before throwing a bunch of objects around. He sang “Get Your Shine On” by Florida Georgia Line and didn’t do many dance moves. He had a Southern twang, and the panelists picked up on the fact that he might be on the older side. “I can tell you’re not a professional singer, but I can tell that you’re definitely game,” Jeong said. The general consensus was that he is an athlete. McHale guessed Brett Favre, Thicke guessed Ben Roethlisberger, and Scherzinger guessed Terry Bradshaw. “I have multiple world titles,” the deer said. “I started in track and field then went to horses.” McHale posited that it could be a player from the Denver Broncos or the Indianapolis Colts. “When I stepped on that stage for the first time, I loved being able to perform without anyone knowing who I was,” the peacock said in his next clip package. “Everyone thinks they know me.” He said that he started as a teenybopper and also mentioned a fear of heights. “But there’s more than meets the eye,” he said. The peacock sang “Counting Stars” by OneRepublic and put on another fun show. “I think you’re a professional singer,” Jeong said. “I thought it was another electrifying performance,” Scherzinger added, calling him a natural-born performer. McHale guessed Neil Patrick Harris. Thicke floated the names David Copperfield and Criss Angel, still thinking he could be a magician. “I have performed in Las Vegas,” the peacock hinted. Thicke guessed Tom Jones. In the unicorn’s second clip package, she once again referenced the fact that she lacks confidence. “I came here to conquer my fear of singing and of being judged, and I did it,” she said. “This week, I’m going to exude model behavior.” Three baby unicorns also appeared in the video. The monster closed things out ahead of the reveal. “When I was given a second chance, I realized I had to do a little reset and move forward,” he said in reference to almost being eliminated. “From behind this mask, I can finally show the world my true self.” He said he’s back in the swing of things, and it was implied that he has traveled around a lot. He sang “I Don’t Want to Be” by Gavin DeGraw. His vocals were strong, and he even hit a really high note at the end. “After watching you perform, I’m, like, this is the weirdest show on television,” McHale said. Thicke called it his favorite performance, particularly praising that high note. Scherzinger said that he must have sung before. Thicke guessed Nelly. “I like to keep my head in the game,” the monster said. Thicke then guessed Derek Jeter, and Cannon threw out Kevin Hart. The studio audience and panelists voted between the singers, and the bottom artist was the deer. The panelists made their final guesses as to who could be under the mask. Scherzinger guessed Terry Bradshaw again, and Thicke and McHale agreed. McCarthy used the horses clue to guess Peyton Manning, formerly of the Colts and Broncos. Jeong guessed John Elway. The deer struggled to get his mask off, but finally revealed himself to be two-time Super Bowl MVP Terry Bradshaw.